Windsport and its Suppliers of components for Sprint 15 Production are laying on a sponsorship at the Forty Years Young Sprint 15 40th Anniversary Nationals. This year at the event is being held at the Weymouth and Portland National Sailing Academy between Saturday 23rd – Monday 25th June 2018. 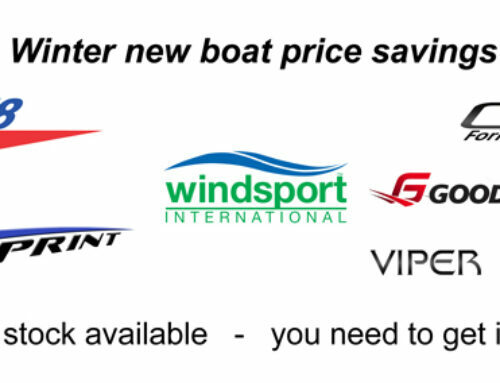 Windsport are coordinating the generous sponsorship of a Suppliers Race Day combined with what will be a great social evening showcasing the suppliers that help us to keep the class supplied with all the necessary components. If you are a Sprint 15, Dart 15 or Spark sailor why not make the effort to come along and join in the celebrations. We have Windsport Support, great crews, an amazing boat, amazing class association and coupled with one of the most amazing sailing locations in the world. Everything is in place for a great event. More details here.